Drip-free is the way to be. 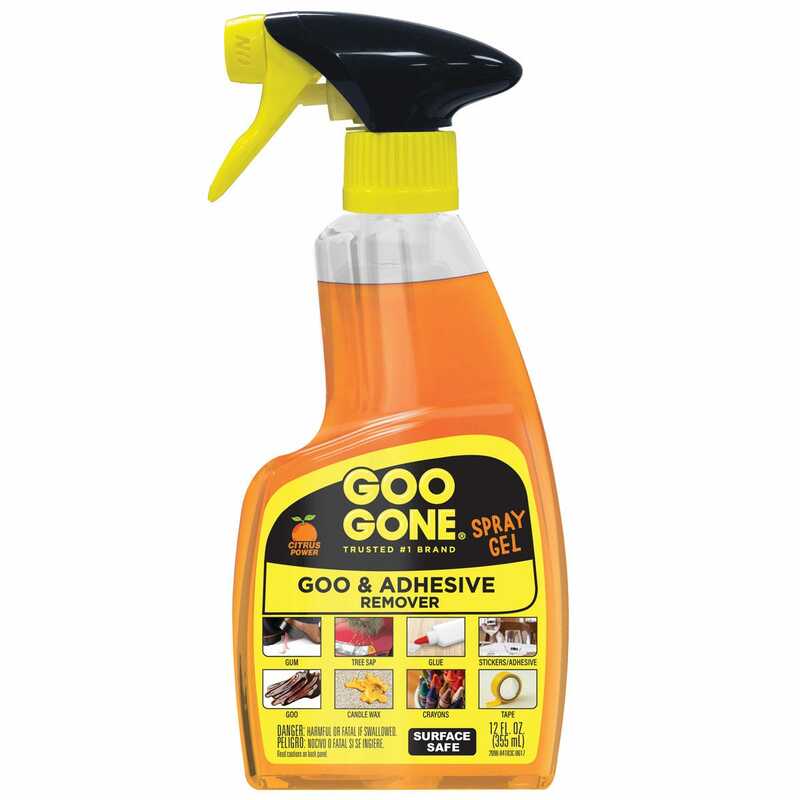 Goo Gone Goo & Adhesive Remover Spray Gel clings to stains and sticky messes while protecting the surface below. For extra gooey messes, let sit 5–10 minutes. Can I use this on cars? Yes, you can! Just test on an inconspicuous area before using it in full. After you’re done, wash the area with hot, soapy water. 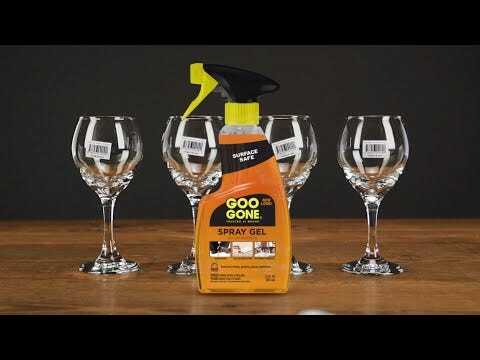 Watch this demo video on how to remove stickers from glass for more information. Can I use this in my dryer? Yes, but be careful. Apply the Spray Gel to a cloth first, then use it to remove the adhesive. After you’re done, wash the area with hot, soapy water and allow it to dry. What is the difference between Spray Gel and Goo Gone Original? The Spray Gel formula is designed specifically to cling to stains and vertical surfaces, making it a versatile adhesive remover. It has a pleasant, citrus scent. Can I use this on clothes? 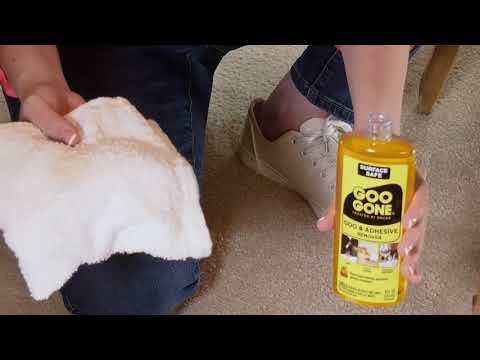 Yes you can use Goo Gone Spray Gel on clothes. However, don’t use this product while you’re wearing the clothes. Launder the clothes shortly after application with extra detergent. Can I use this on Plasti Dip? Yes you can! It’s most effective at removing the residue left behind from peeling Plasti Dip off. However, if left to sit on rubber, it can break the rubber down. Does Goo Gone Spray Gel remove paint? No, Goo Gone Original is safe on painted surfaces. That means it won't remove the paint. But, our Latex Paint Clean-Up Spray and Wipes will remove paint. 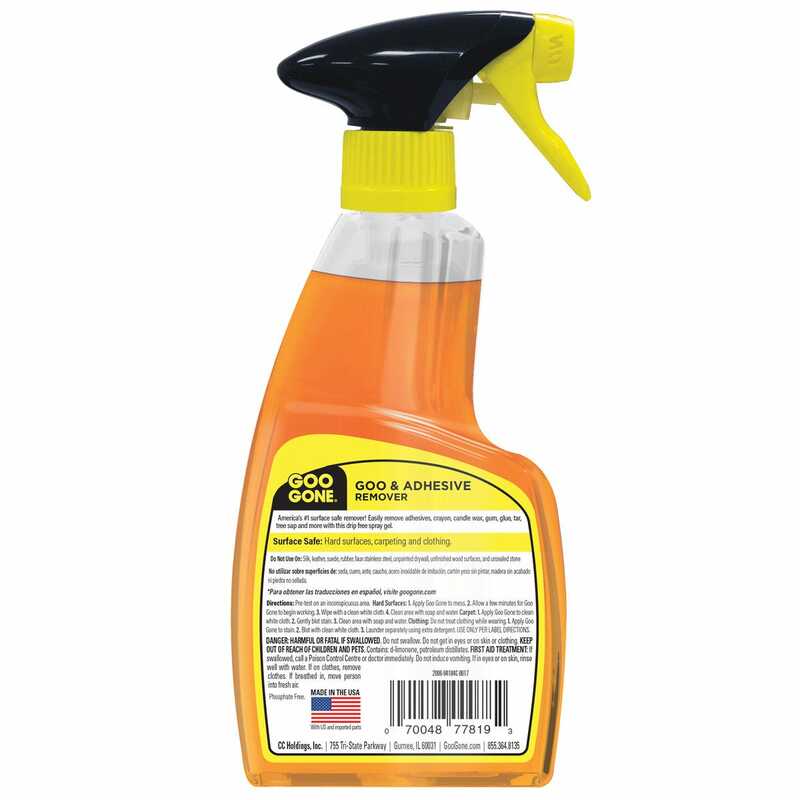 SPRAY GEL - makes it easier to clean all surfaces. Drip-free formula allows you to clean the mess without harming the surface below. ¡El removedor seguro para superficies N.°1 de Estados Unidos! Remueve fácilmente adhesivos, crayón, cera de vela, chicle, pegamento, alquitrán, savia de árboles y más con este gel en aerosol anti-goteo. No utilizar sobre superficies de: seda, cuero, ante, caucho, acero inoxidable de imitación, cartón yeso sin pintar, madera sin acabado ni piedra no sellada. Instrucciones: Pruebe previamente en un área poco visible. Superficies sólidas: 1. Aplique Goo Gone sobre lío. 2. Deje que la fórmula comience a actuar varios minutos. 3. Limpie con un paño blanco limpio. 4. Limpie el areá con jabón y agua. Alfombras y tapizados: 1. Aplique Goo Gone en un paño blanco limpio. 2. Frote la mancha suavemente. 3. Limpie el área con agua y jabón. Vestimenta: No utilice sobre la ropa que está usando. 1. Aplique Goo Gone sobre la mancha. 2. Remueva con un paño blanco limpio. 3. Lave por separado usando detergente extra. UTILICE SIGUIENDO ÚNICAMENTE LAS INSTRUCCIONES DE LA ETIQUETA.